Teeth Sensitivity and Pain, What’s Causing It? Have you ever had a sip of a hot drink, cold drink, or even have the chilly winter air hit you teeth to have it follow with a sharp pain in your teeth? What’s causing this pain and what can you do to prevent it? Tooth pain/sensitivity are quite common that affects millions of people. This can occur when the enamel in a tooth is worn away and the gum line recedes, which leaves the unprotected surface beneath (called dentin) exposed. When the dentin is exposed, this allows the trigger to shoot straight to the nerve, causing that unbearable pain you feel. Brushing too hard can cause enamel erosion. Using a new, soft-bristled toothbrush along with proper brushing techniques can make a huge difference in maintaining your oral hygiene without potentially harming the enamel or exposing the dentin around the gum line. Teeth grinding, either when awake or asleep, can damage enamel. It’s sometimes hard to know if you are grinding your teeth at night, however, a dull headache or sore jaw upon waking are tell-tale signs. In addition to causing sensitivity, bruxism can cause severe tooth damage and/or tooth loss. If you think you might be grinding your teeth, contact the office. 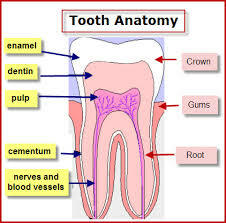 It’s possible a decaying or damaged tooth is to blame for your sensitivity. A sudden onset of pain may be a sign that one or two teeth in particular are in severe need of attention and repair. Plaque is a colorless film of bacteria that forms on teeth. It can build up when proper flossing and brushing are neglected. A little plaque on the teeth is normal, but when it starts to build up, it could result in tooth sensitivity. You may notice certain foods or drinks may trigger your tooth pain. If you are experiencing tooth sensitivity, avoid drinking too much coffee, tea, wine, soda, juice, or other acidic beverages. Even certain foods with high acid content can contribute to discomfort. Sometimes changing what you eat and drink is enough to reduce your sensitivity.